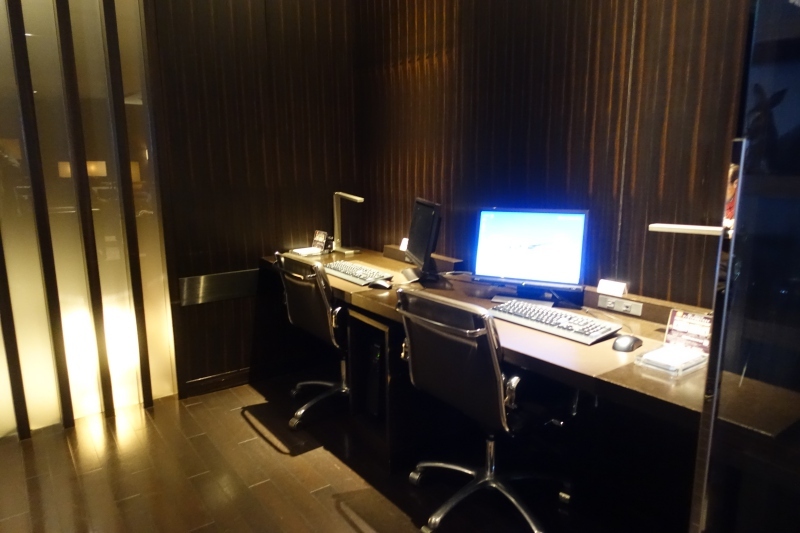 This JAL First Class Lounge Tokyo Narita Review is from our recent Japan trip, including luxury hotels in Tokyo, Kyoto and Ise-Shima. Visiting Japan? See all our posts tagged Japan. 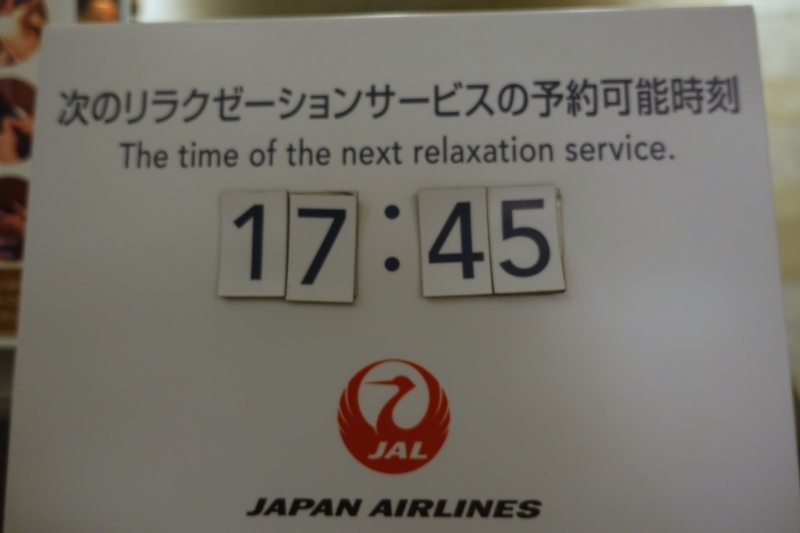 After arriving at Tokyo Narita Airport Terminal 2 on the Narita Express (N'EX) train, we made our way to the Japan Airlines First Class check-in, where there was no line, as there were several counters available. 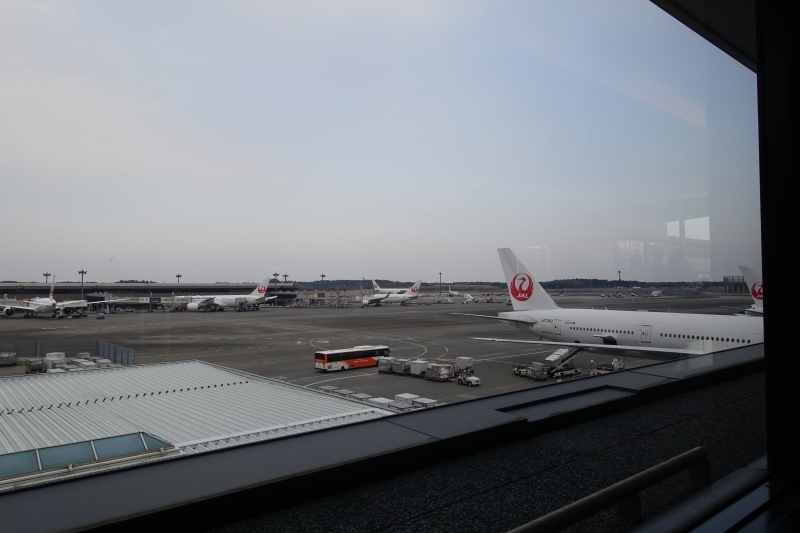 We were checked in by a friendly JAL associate, who also explained that there was expedited security screening for first class and business class passengers, and the location of the lounge after security. 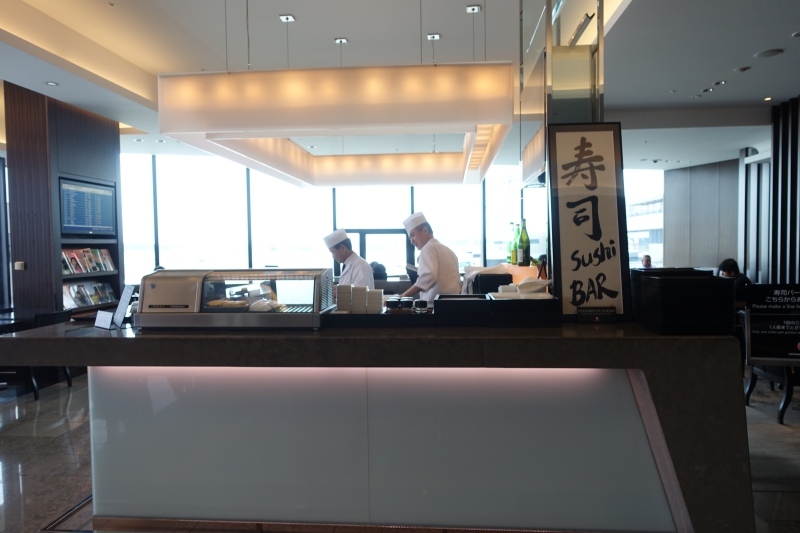 The Japan Airlines First Class Lounge at Tokyo Narita Airport is located in Terminal 2, and shares its main entrance on the 3rd floor with the JAL Sakura Lounge. 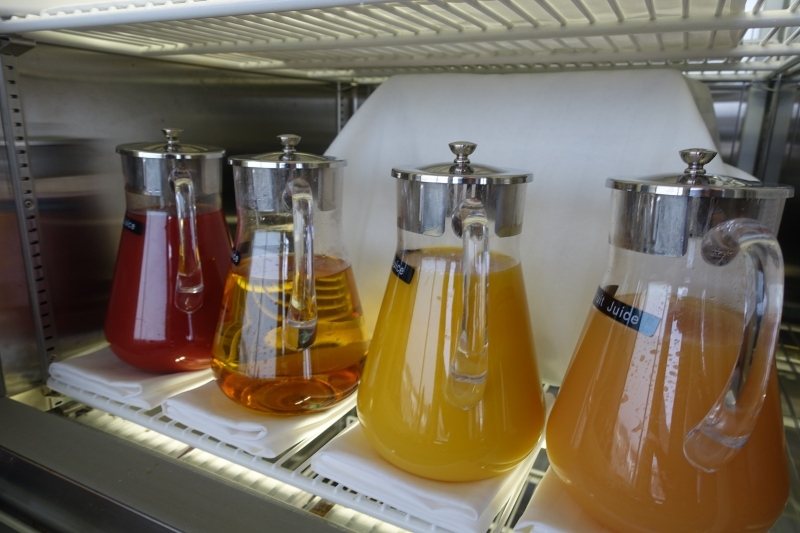 The lounge is open 7:30am-10pm daily. 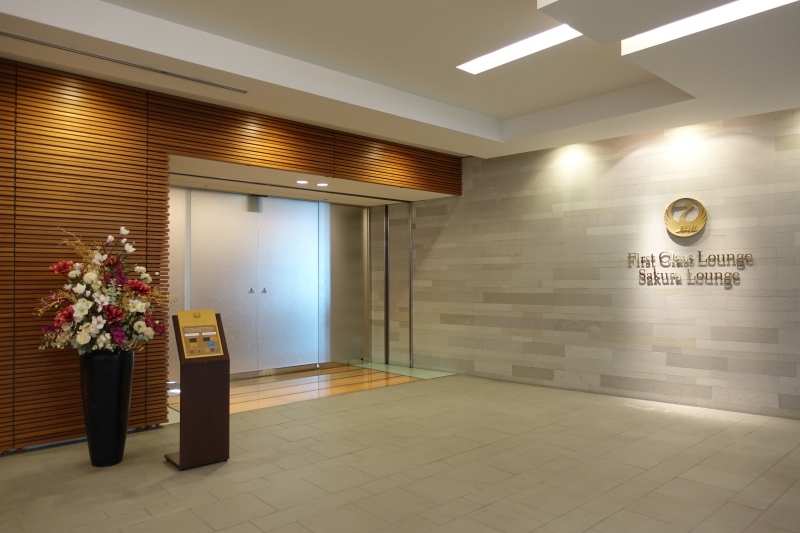 After checking in at reception, a hallway on the left leads to baggage storage, although all the locked compartments were already taken during our visit. There was still open, unlocked space available to leave items. Even before the luggage storage area is the spa and shower area. 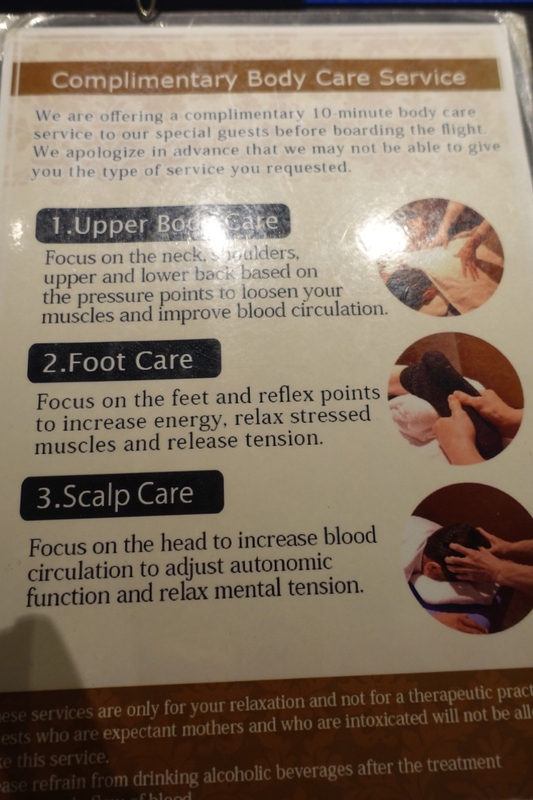 You can enjoy a 10 minute complimentary massage on a first come first served basis, with three choices: scalp massage, foot massage or upper body (neck, shoulder and back) massage. Unfortunately, at 4pm, everything was booked until 5:45pm, after our flight departure. It's only 10 minutes, but if you're flying on an afternoon or evening flight and want a massage, plan to get to the lounge a few hours early otherwise it may be entirely booked up. 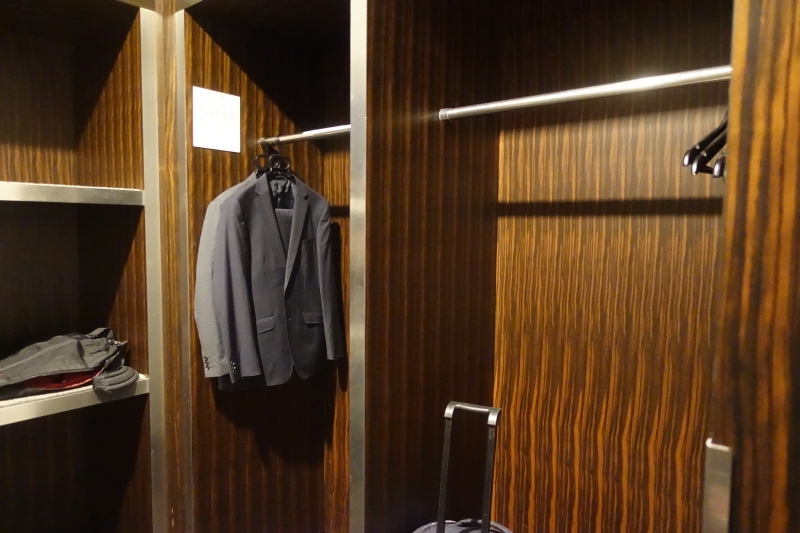 Even the shower rooms were entirely booked for the duration of our visit to the lounge. If you run into the same problem I did, with all massage appointments booked, you can proceed down the main hallway to the lounge, turn left, and pass the business center with computers and printers. 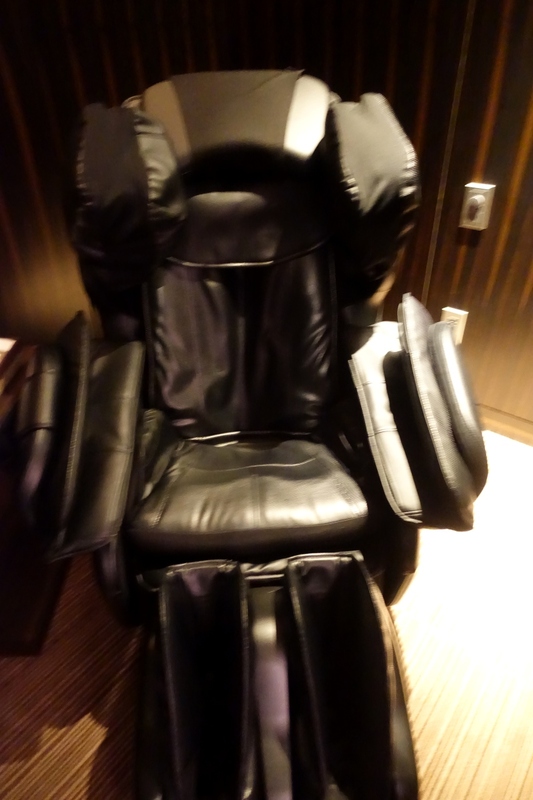 After the business center, you'll come to two massage chairs; with any luck, one of them will be available, as it was for me. 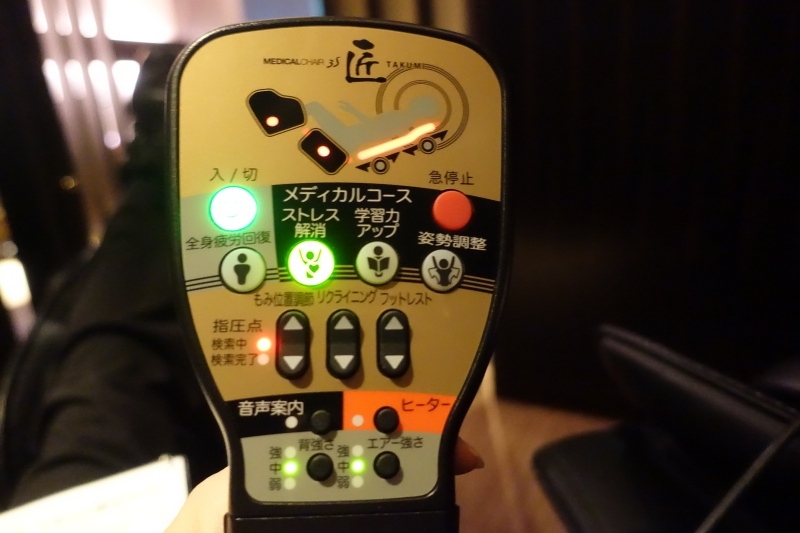 I actually found that I preferred the massage chair to my prior JAL First Class Lounge massage a few years back. The controls are all labeled in Japanese, but you can experiment with the various settings until you find one that suits you. 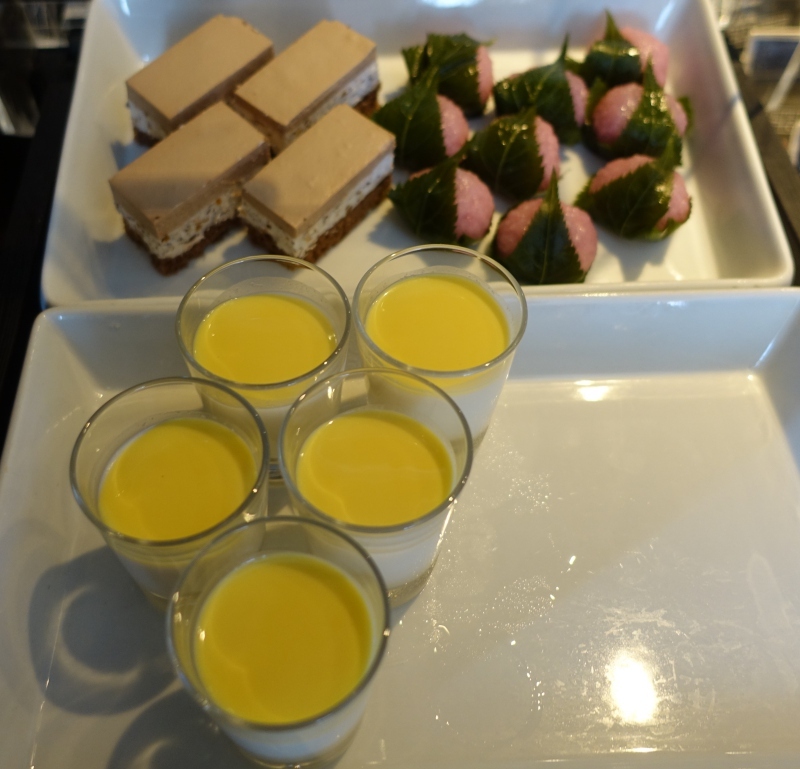 Previously, we'd visited the JAL First Class Lounge in the morning, when we had a completely different experience due to being among just a few passengers in the lounge. This time, at about 4:30pm, it was another story–virtually all seats were taken, and the lounge was very crowded. There are good views of the tarmac from the window, and better natural light, so I recommend a window seat if possible. 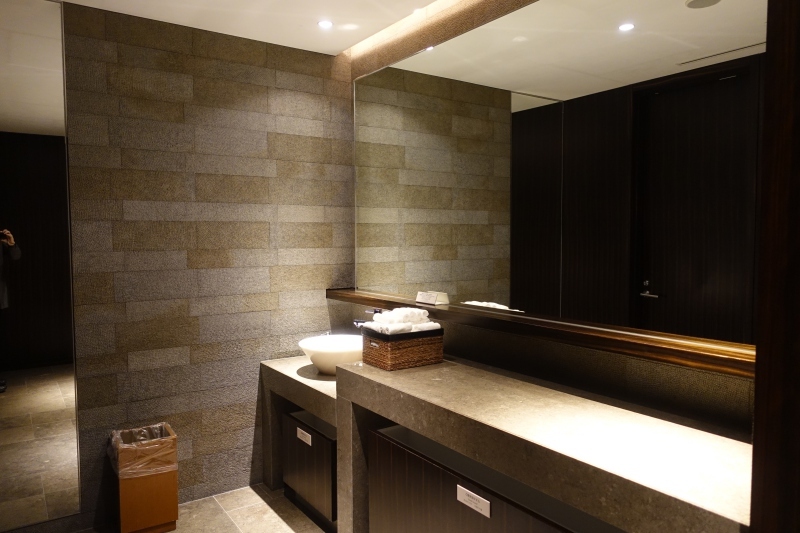 As before, the bathroom was very spartan (it does have high tech washlets as the toilets, however) but very clean. Don't expect to find an array of toiletries, but a sign does inform you that you can request a toothbrush from an attendant. 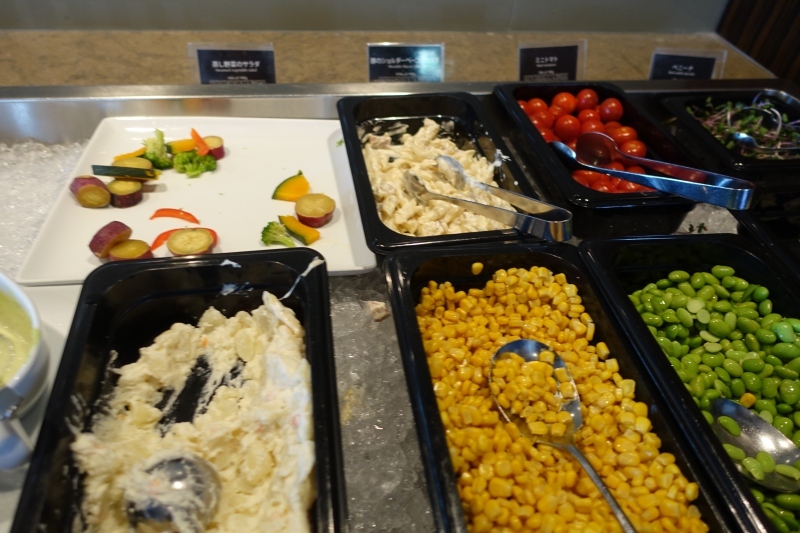 I'd found the JAL First Class Lounge food offerings somewhat disappointing a few years back, and my opinion hasn't changed; if anything I found the food less compelling. 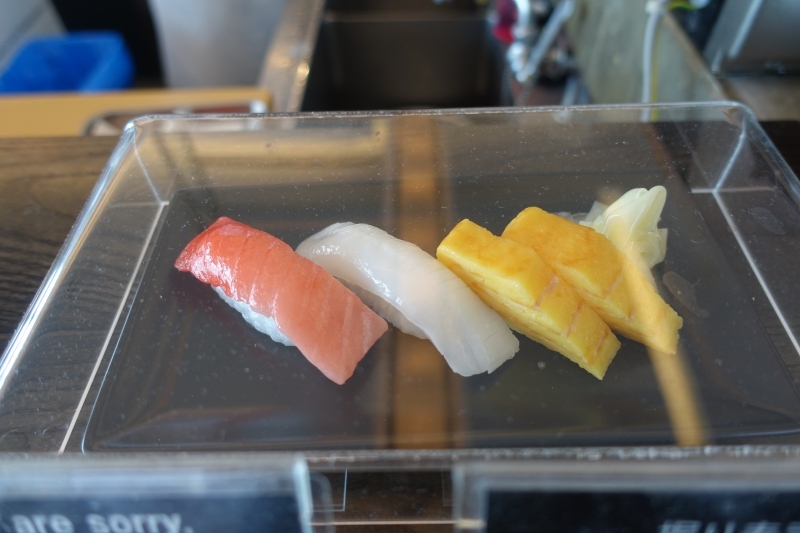 There is a sushi bar, but it just offers a boring set of tuna (maguro), squid (ika) and tamago (omelet). The squid, which I really don't care for, has replaced the shrimp, and since we'd had an excellent sushi lunch earlier that day I didn't bother with the sushi bar. 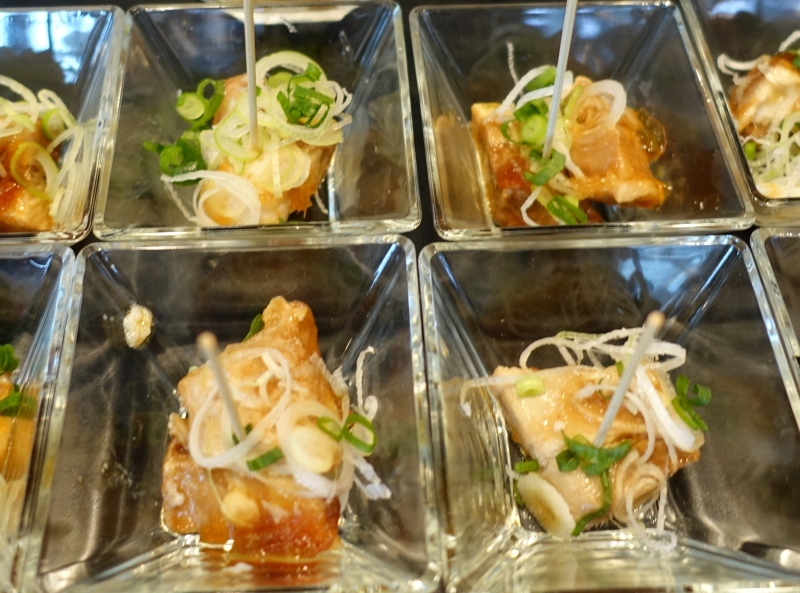 What my husband and I did try was the self-service sake bar, with three types of sake. The sushi bar chefs, who were jovial, were happy to recommend the best one to us, which I really liked, even though normally I'm not a sake drinker. 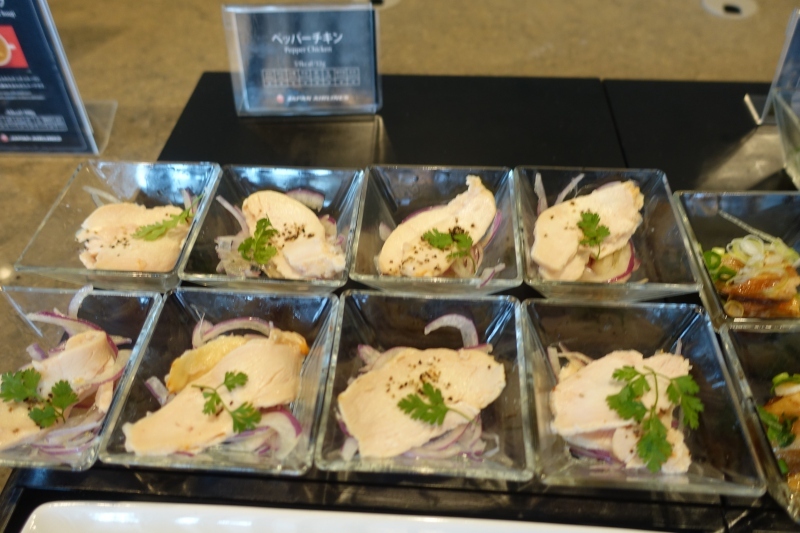 The buffet had a number of small savory items, such as pork, chicken, and even one with both Japanese and Western style pickles. 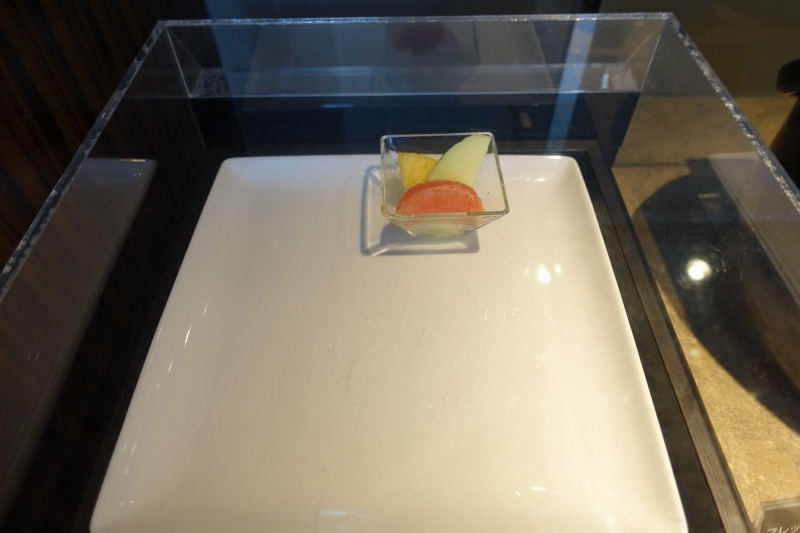 The salad bar was looking a bit messy at the time of our visit, and there was just one fruit cup left, although presumably it was replenished soon after I took the photo. Dessert included sakura (cherry blossom) mochi and a couple of other items. 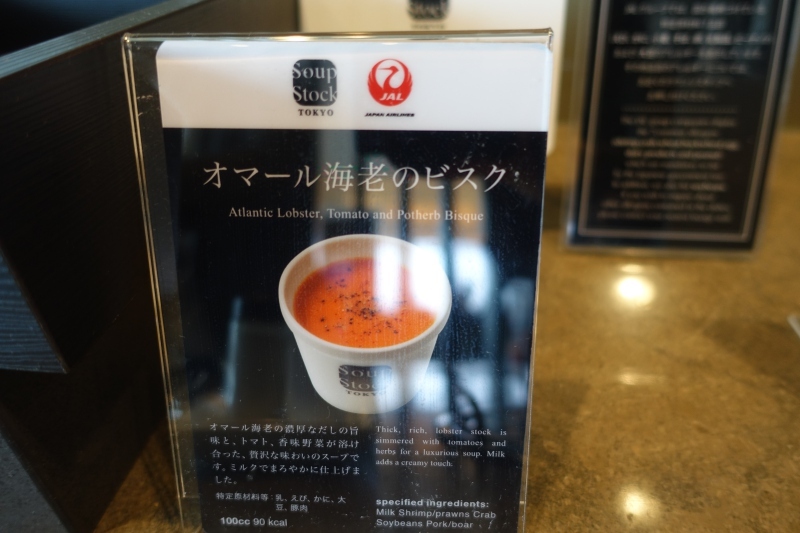 There were also hot soups, including a lobster tomato bisque. 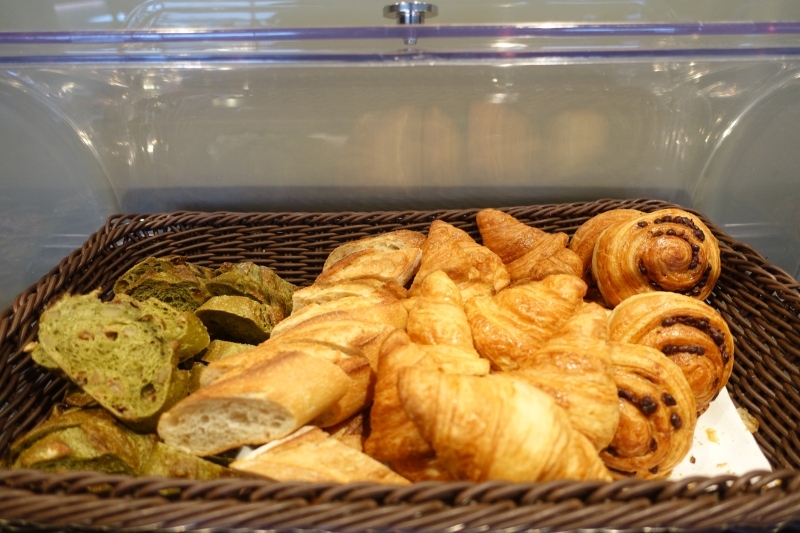 The best thing that I tried, as I expected, was the Maison Kayser bread–the one on the left is matcha (green tea) with raisins, and it was delicious). 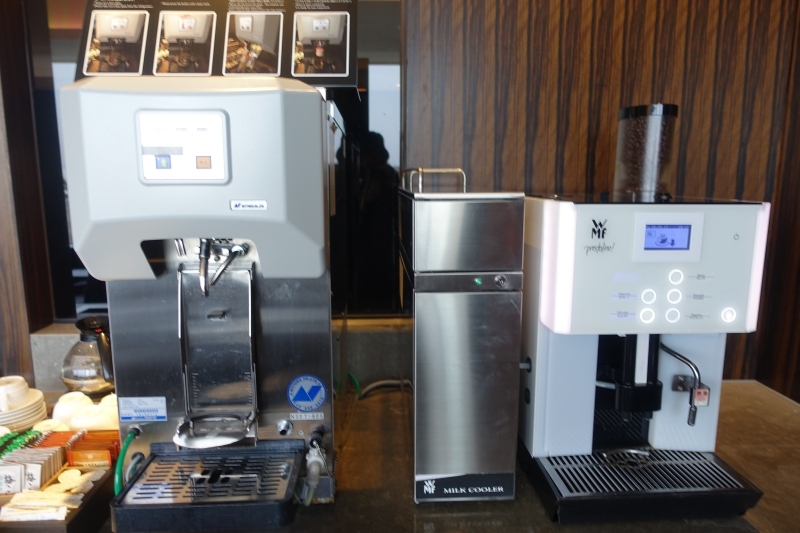 In addition to the sake bar, drinks included beer and coffee from machines, juices, iced tea, bottled water, and “Pocari Sweat” energy drink. 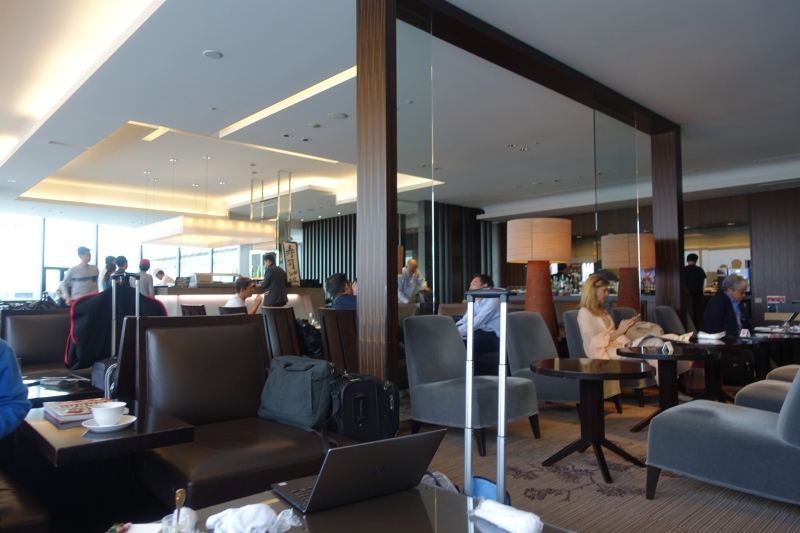 Our visit to the very crowded JAL First Class lounge wasn't as enjoyable as our last visit, simply due to how many people there were in the general seating area, as well as the fact that all spa appointments and shower rooms were booked up. If you really want a shower or complimentary 10 minute massage treatment and your flight is in the late afternoon or evening, plan on getting to the lounge with a few hours to spare. Personally, I don't think it's worth it for those particular amenities, given that otherwise the lounge is nothing special, and the food and drink offerings are rather disappointing. The highlights for me were the massage chair and the Maison Kayser bread (but you can easily get that at a Maison Kayser store in one of the department store food emporiums, plus here in NYC we have many Maison Kayser stores). 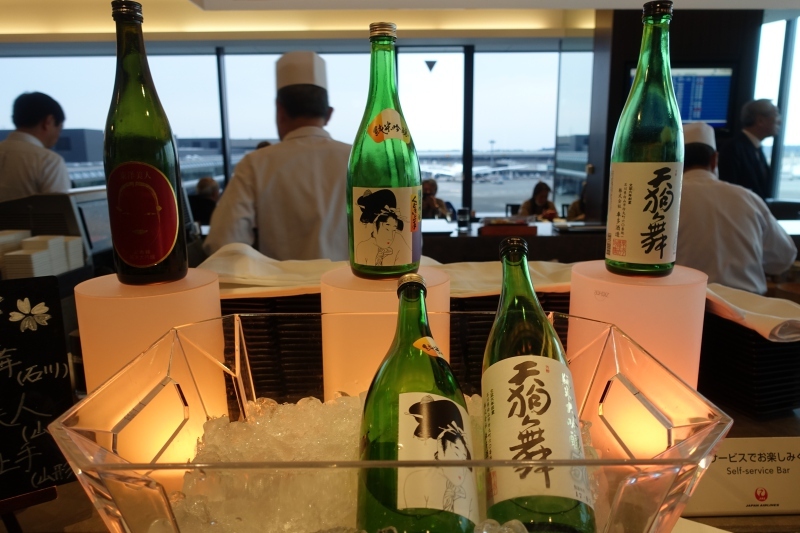 If you've been to the JAL First Class Lounge recently, what was your experience? Become a TravelSort Client and Book 5-star hotels with Virtuoso Perks and Preferred Partner Benefits!